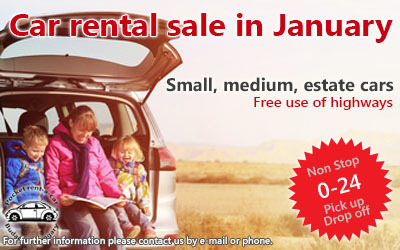 Car rental sale in January (2017) | Pocket Car Hungary Ltd.
Would you like to go home to family or friends? Do you plan a winter trip with the children? Or would like you to travel to relax for a few days after the holiday? The promotion is valid if you make a reservation for a period of between 10 January 2017 and 15 February 2017. The price includes highway-use and insurance.